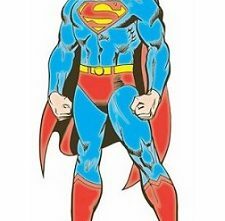 Appearing in Action Comics #1 in 1939 Superman is probably the world’s most recognizable superhero, but just what are his powers and abilities? Here At Super Heroes Central we’ve said plenty of times that we really love the classic superheroes, the ones that have been around for a really long time, and as one of the first heroes to ever appear in comics he certainly fits the bill. So we’d love to share some great facts about original Man Of Steel, for instance he was a founding member of the Justice League Of America, along with Batman, Wonder Woman, Aquaman, Martian Manhunter, Green Lantern and the Flash. So just how did Superman get his powers? It was actually pretty easy for the man of steel, and it happened at the moment of his conception. What are we talking about? Simple, Superman is an alien, an extra-terrestrial, he comes from another planet. you see his real name is Kal-El (or at least that was the first name he was given)he was born on the planet Krypton, where he was the son of a Krptonian scientist named Jor-El and his wife Lara. But it has to be said that Kal-El’s Kryptonian physiology is only one of two factors behind his amazing super powers, and the other being the choice of destination selected for his new home by his parents. Jor-El and Lara both knew that the planet Krypton had became unstable and that it’s destruction was imminent, they tried in vain to convince the planet’s governing body of that fact, but failed. They decided that would stay and share the planets fate themselves but would not doom their infant son. Krypton was a highly advanced society with an incredible level of technology, science and knowledge, and so using the resources at his disposal Jor-El carefully selected the planet Earth as his son’s new home, and he did this for two reasons, firstly that the Earth had a yellow sun and he knew that Kal-Els Kryptonian physiology would absorb the yellow sun’s radiation and it would give his unimaginable powers, and the second reason was that earth was a far less advanced civilization and that his son would need that advantage to survive on his own(well not quite on his own but we’ll get to that later). And so Kal-El was put into a tiny spacecraft and shot out into the vastness of space, to begin his long, lonely journey to earth. Shortly afterwards the planet Krypton did indeed explode as Jor-El and Lara predicted and they perished along with the rest of their race(well not quite). What Jor-El couldn’t have foreseen was that when Kal-El crash landed on Earth that would land in Kansas and be found by Jonathon and Martha Kent who were a barren couple unable to have their own children and that the little boy who fell from the sky was an answer to their prayers. Deciding to raise Kal-El themselves and conceal his otherworldly origins they named him Clark Kent. 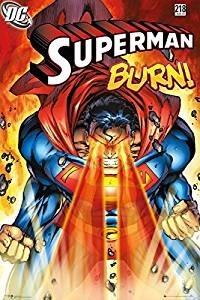 And so events transpired as Jor-El had predicted and Clark’s body did in fact absorb the solar radiation from Earth’s yellow sun, granting him fantastic powers and abilities which he kept concealed until he was ready to reveal to the world and become Superman, the only Krptonian survivor. Actually we were just pulling your leg about Superman being the last survivor from the planet Krypton, it turns there were a few other notable exceptions, such as his cousin Kara Zor-El(Supergirl for the uninitiated), the prisoners from the Phantom Zone(an inter-dimensional supermax prison for the planet Krypton’s worst criminals) including General Zod, Ursa, Non, Faora and Quex-Ul. There was also a Kryptonian dog which was funnily enough named Krypto(we won’t be mentioning him again, ever) and of course there was the six million survivors from the (formerly)miniaturized Kryptonian capital city of Kandor that was stolen by the super villian Braniac and rescued by superman, which he kept in his fortress of solitude until he could restore them to normal size, which he did on a planet orbiting a red sun(which means no super powers, and isn’t it funny how these guys never get mentioned). Because Superman is probably the most well known Superhero there is, you’d think everyone would know what his super powers are, wouldn’t you? And yes we’re pretty sure everyone knows his basic powers and abilities but there just may a few that will surprise you(or not). Self sustenance, a little known fact about the man of steel is that he does not require oxygen, food or sleep, yet he chooses to do so in his quest to attain some semblance of humanity, but as long as his body is filled with yellow solar radiation than he is completely self sustaining, which is useful fighting underwater or in no atmosphere or traveling through the void of space. 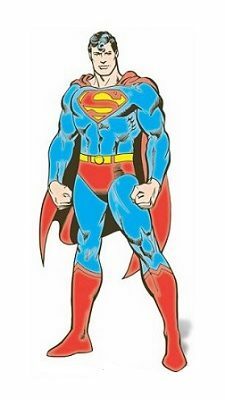 Near invulnerability, Superman is able to withstand incredible amounts of damage due to combination of a super dense molecular structure and a bio-electrical field which radiates an aura just millimetres from his skin, this field can be expanded to encompass objects and people allowing them to travel with him and not be harmed. He is impervious to bullets, explosions, falling from great heights(and we mean great heights, he can survive re-entry and hitting the ground while he is unconscious, you literally can’t fall from a height greater than that) In fact he’s pretty much invulnerable to anything you can think up that can hurt him. Nuclear explosion? no problem he’s survived it. The Sun’s core? Been there, done that. Exploding star? Too easy. Explosive force of 50 Supernovas? Ouch but he’s still OK. That’s a pretty handy superpower to have. The reason that we said nearly invulnerable is because although he comes from the now somewhat exploded planet Krypton he is extremely vulnerable to the radioactive pieces of the planet called Kryptonite(go figure) which periodically fall to earth as meteorites(and fall into bad guys hands almost as often). Kryptonite comes in many varieties and colours and they all have a different effect on the man of steel with green Kryptonite, weakening and poisoning him to the point that he will die after prolonged exposure. Superman’s other big weakness is villains named Doomsday(he really had a bad day fighting that guy). Prolonged lifespan, as long as Superman’s body is exposed to yellow solar radiation his body will constantly regenerate, impeding the aging process indefinitely. Inexhaustible stamina, as long as his body is charged with yellow solar radiation than his body is continuously replenishing it’s energy reserves and regenerating and he will not become fatigued . Enhanced Vision, Superman possesses an incredible array of visual spectrums, he is able to use X-Ray vision allowing him to see through solid object(except for lead which negates this ability), he can use telescopic vision so he can see things at huge distances, he also has microscopic vision allowing him to see extremely small objects right down to the sub atomic level, he has thermal vision which allows him to detect the heat radiated by people and objects, this ability is useful when tracking people as he can detect the thermal trail left by the footprints, and he also can see in the electromagnetic spectrum allowing him detect radio, television and radar waves which he can then avoid allowing him to remain undetected if required. Super Breath, he can generate hurricane level winds by exhaling(really hard we’re guessing) which he can then use to dispel airborne toxins, poisonous clouds and the like, he can also chill his breath, and freeze flames or even opponents on occasions. Incredible Hearing, the man of steel is able to detect any sound, anywhere on the planet, as long as he concentrates enough to filter out residual ambient background noise. Superhuman speed, the man of steel can fly, run, fight, and react at impossible speeds, this allows him to achieve incredible feats on an everyday basis such as catching bullets(not that he needs to) to traveling the globe quickly enough to effect rescues in a timely fashion(that is to say really, really quickly) he is impossibly fast with only the flash able to best him in speed inside atmospheric conditions, because the flash has no upper speed constraints due to his protective field generated by the speed force(it’s a long story but you should check the flash’s page if you want to know more). Near unlimited strength, depending on when in the 80 years of comics you’re talking about(over the years his strength levels have wildly fluctuated depending on the writer and the period of publication), Superman has been able to lift pyramids and fly to them to other planets, he has been able to move planets(including Earth) he has shattered planets with punches(you get the point he’s really, really strong) He can do all this, but he’s not even the physically strongest character in the DC universe with Darkseid(amongst others) physically stronger then him. (wow tough universe). As you can see Superman has an incredible array of powers due to his Kryptonian heritage but he also has some impressive abilities, such as a genius level intellect also due to his otherworldly heritage, but he has used the intellect to learn the skills that make him such an effective super hero. For instance as powerful as Superman is, there also other powerful villains out there and so Superman has trained with other members of the Justice League such as Batman and Wonder Woman in various martial arts and combat styles to help make him an even more effective combatant. Also as Clark Kent he has impressive journalism skills which help him to investigate and foil bad guys plots and obtain information. And it’s fair to say that Superman’s invaluable leaderships abilities are not due to his Kryptonian heritage but rather due to lifetime learning from and observing people as Clark Kent. 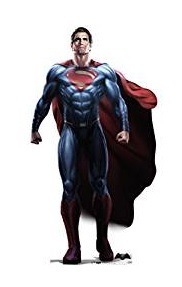 Indeed there may be a potential 6 million men(and women) of steel out there(all the other survivors of Krypton will gain all these abilities with prolonged exposure to our yellow sun) but there will only ever be one Superman(clones and alternate reality versions notwithstanding of course). But just how powerful is he? Is Superman the most powerful superhero in the DC Universe? As we already stated in the decades that Superman has appeared in various mediums his power levels have always been subject to the whims of writers and so have varied widely, we hope that cleared any questions you may have had about the man of steel but if you want more details we found this great clip on You tube that will give you even more answers. Enjoy.